Here is a commercial use freebie for you all- it's a heart cookie that I made and I am also gonna show you how I made it! 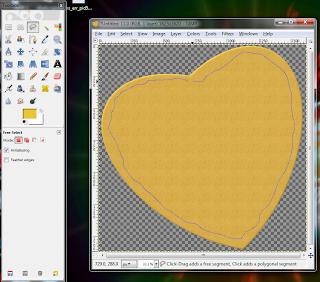 If you don't know how to make a heart shape in Gimp, I have a tutorial for that HERE. All you need to do is open your heart shape, then colorize it to a color you'd think crust would be. Add some texture to it... 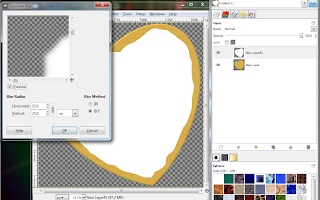 I am using the slate preset pattern in Gimp. 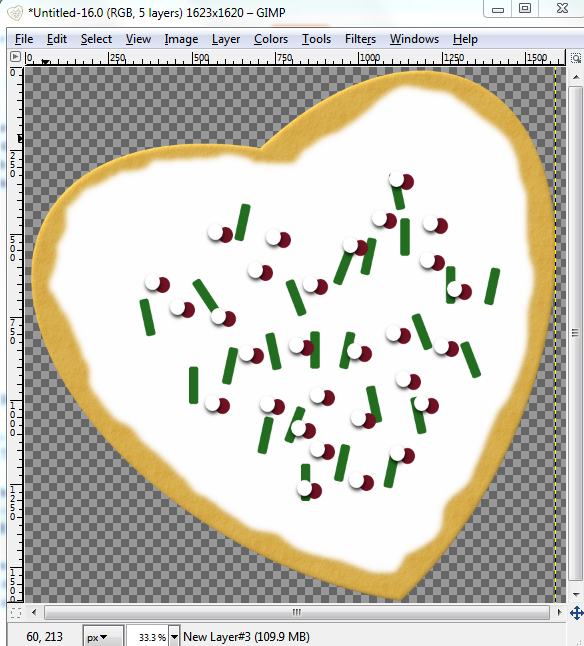 Just right click on the heart shape, ALPHA TO SELECTION, add new layer, click on the pattern in pattern box below layer box and then click the fill tool and fill within the new layer. Then click on the MODE arrow and choose OVERLAY. 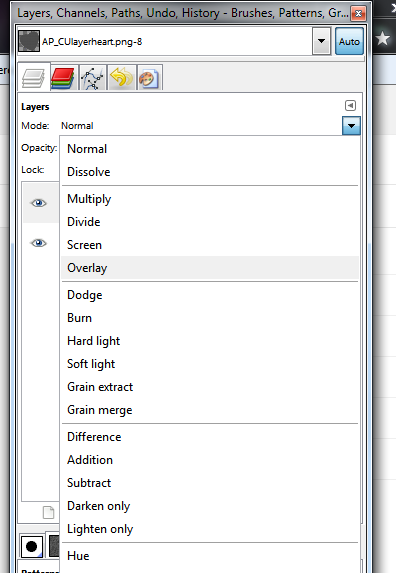 Right click on the top layer and choose MERGE VISIBLE LAYERS. Now go to FILTERS>DECOR>ADD BEVEL. Set it around 10 or so. 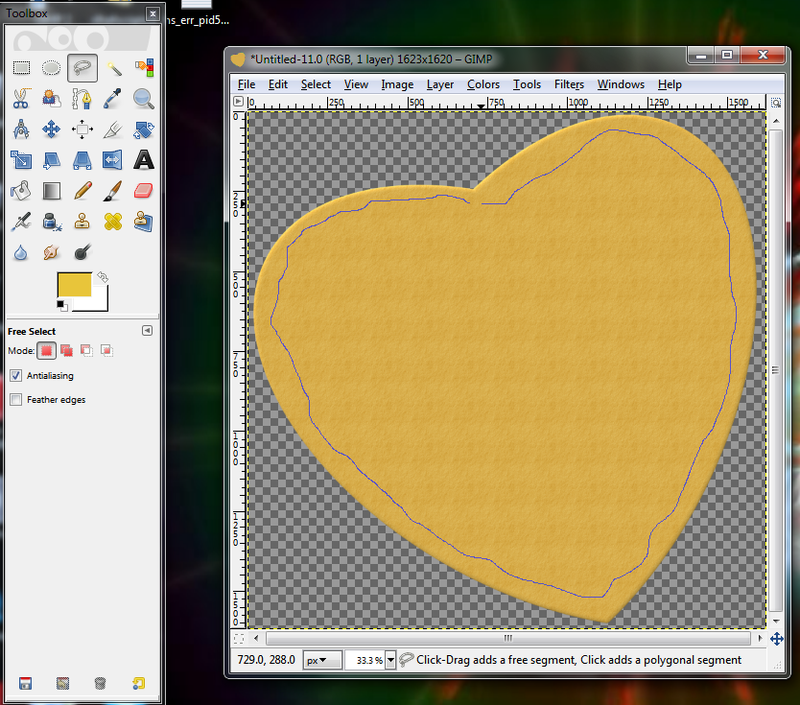 Next, click on the free select tool (looks like a lasso) and start drawing around the inside of the heart. You want this to be "messy" because this is going to be your frosting layer. Go all around it and connect the ends. The selection will blink like marching ants when ready. Add a new layer, and fill the inside with white. Then SELECT>NONE. Next, go to FILTERS>BLUR>GAUSSIAN BLUR with settings as shown in the image below. Click OK then go to FILTERS>DECOR> ADD BEVEL with levels at 5. 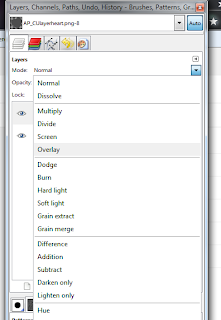 Right click and MERGE VISIBLE LAYERS. Now create a new layer and use the rectangle select tool to make a small selection. Then go to SELECT>GROW by 4 or more to make it look like a sprinkle! Fill that layer in with your choice of color. I am using a green shade. 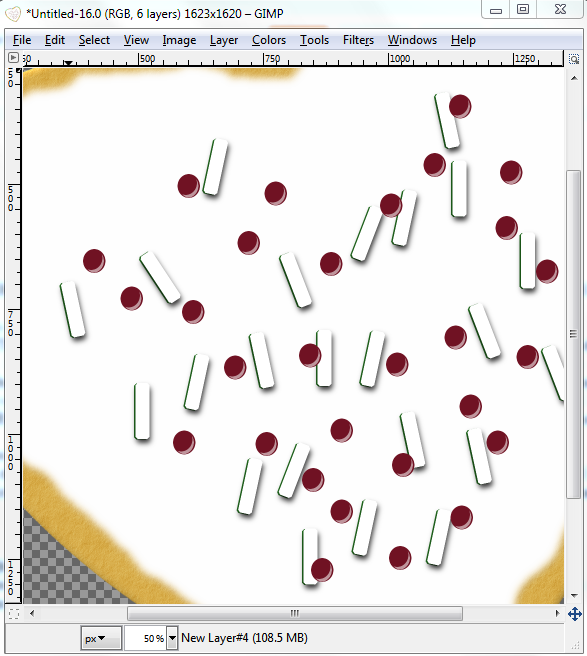 Then use the rotate tool and duplicate the layer and just place a whole bunch of them all over the frosting. Wen you have them where you like, click the eye button on the cookie to make it invisible. Right click on the sprinkle layer on top and MERGE VISIBLE LAYERS. Now all the sprinkles are in one layer. You can repeat this step again with another color or shape (I added circles too). So I want to add some shine to these, so what I did- there are other ways to do this but I like the results this way- is right click ALPHA TO SELECTION and filled a new layer with white. Then I moved it so just a sliver of the white was off of the sprinkles- I added a drop shadow just so you can see where the white is exactly. Then right click on the color sprinkle again and ALPHA TO SELECTION, click on the white layer to make it active in layers box and go to EDIT>CLEAR. 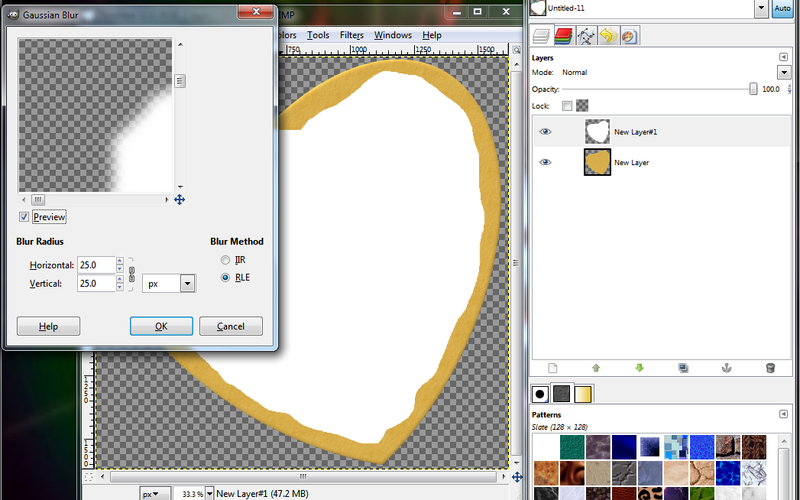 Drag the white layer over to look like it has light reflected on it. Then slide the opacity down a bit. Here's a close up of what the sprinkles will look like. Follow the O'Scrap Blogtrain for more goodies!